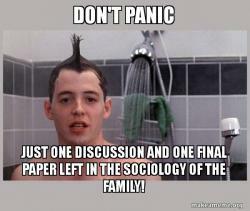 There is a great subreddit at Reddit that is all sharing all those thoughts, ideas, or philosophical questions that race through your head when in the shower. The name of the subreddit is Showerthought. We here at make a meme are huge fans of the subreddit and have decided to add a meme picture for it. 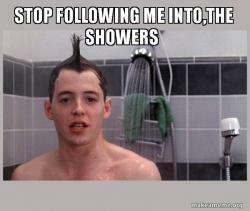 What better picture than the great Ferris Bueller in the shower.